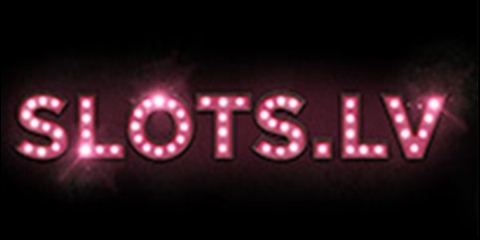 Slots.Lv Casino is a quick popularity gaining online gaming casino that was launched in 2013 July. The casino is legally registered under the Kahnawake jurisdiction. The casino offers secure straight forward and timely services reason for its tremendous reputation growth. They have a 24hours a day, 7days a week, all year round contact support of efficient and highly trained staff who can be contacted toll free via the phone by locals and online by the rest of the world. There are also numerous almost about each and everything to guide you through in case you need help. The casino has a gallery of over 160 games. The games include classic and 3D slots games, blackjack games, poker table games, roulette, baccarat games, video poker games and dice games among many others. 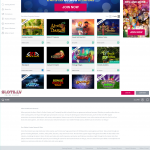 Their software is powered by Betsoft and Realtime Gaming among other gaming software companies that strive to ensure gets top class quality games with clear sounds and excellent graphics. The games are in English language. 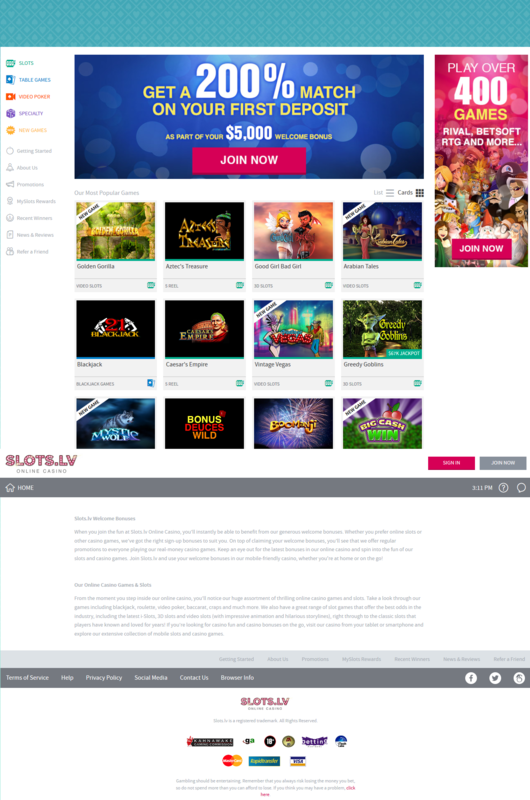 Getting started is easy, one just has to visit the Slots.Lv website which is easy to navigated and select the either to play online or via the download version. Create an account following the instructions given log in and you will be ready to go. You can then make a deposit to start playing or retrieve your free $22 welcome bonus. Their depositing methods are fast easy and secure. One can make deposit by Bank Draft/Checks, Bank Wire, Visa or MasterCard. Their playing currency is the United States Dollar. If one does not have money to deposit and start one can still pray by getting $22 free welcome bonus. Their withdrawal services are also quick and secure. One can withdraw as little as $20, which is the minimum withdrawal amount. Withdraw methods are also a number including courier check for the locals. A welcome deposit and match bonus total of $5000: this is a total up of deposit bonuses and match bonus. 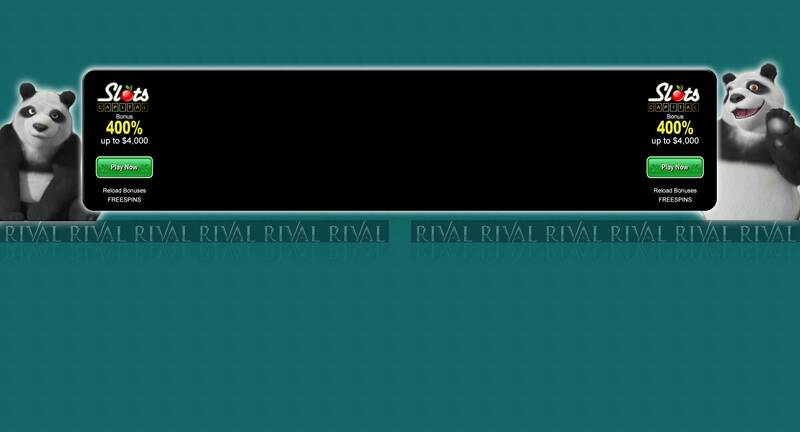 The first and the second deposit are tripled while the next six deposits are doubled in the deposit bonus. In the match bonus, a player can redeem 200% on each of the first and second deposit for up to $1000 and 100% of each of the next 6 deposits up to $500. 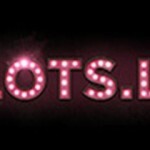 The Slots.lv Casino is a great casino with great offers for you. It is you online real money casino which will give great gaming experience and rewards. + as a few of the few sites Slots.lv belongs to one of the casinos that I visit more often. Play here regularly and it's just fun because the slots are top. + Payouts were no problem. Serious.